#DesignEngineers: Need an adhesive with conformability, breathability & 14-day wear time for your next med device project? Check out 3M’s new Single Coated Extended Wear Tape (3M™ 4077) & see if it’s right for you. 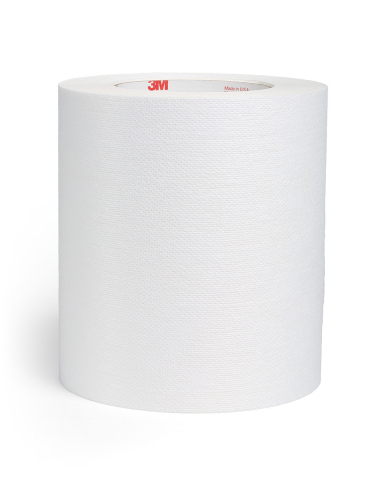 ST. PAUL, Minn.--(BUSINESS WIRE)--3M today announced it has expanded its lineup of advanced adhesives for medical devices with the addition of 3M™ Single Coated Medical Extended Wear Adhesive Nonwoven Tape on Liner (3M™ 4077), a pressure sensitive adhesive that offers omni-directional stretch for superior conformability and breathability. The thin, water-resistant tape offers excellent initial skin adhesion and a 14-day wear time, as well as improved conformability during long wear times compared to other tapes in the product line. 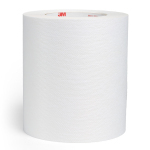 3M 4077 features an extended wear adhesive combined with a white meltblown elastic nonwoven backing on a silicone release liner. It is EtO, E-beam and gamma sterilization compatible. Compliant with ISO:10993 sections 5 & 10, 3M 4077 is approved for use on intact skin. The tape is part of the extensive adhesives product line 3M offers the medical device manufacturing, design and supply industries. Through the company’s diversity of technologies – paired with its 55 years of experience in the medical adhesive business and team of experts – 3M provides medical device professionals with the tools they need to satisfy their project requirements and confidently navigate their way to market. To learn more about 3M 4077, visit 3M.com/MedTech. Design engineers can also visit findmyadhesive.com to help narrow down the right adhesive for their next medical device project. Created by 3M, Find My Adhesive is an online resource that uses a series of project-specific questions to identify a list of the most appropriate medical adhesive suggestions.